If you’re considering a new deck this year, consider all the options available with composite deck boards. Commonly labeled as maintenance-free, these new building materials are considered environmentally friendly. However, as you do your research, be aware that some types of composite decking are better than others. 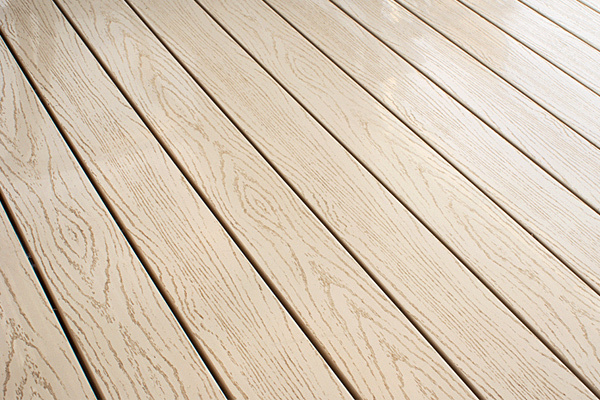 In general, composite deck boards are designed and made to look like natural wood. Made mostly of plastic resin, like a fiberglass, some board materials have not proven to be worthy. In fact, low quality composite deck boards have proven to be much less durable than wood. These plastic pieces of imitation lumber have been subject to fading, chipping and breaking. Of all the latest materials available for decking now, virgin vinyl has become the top contender. Virgin vinyl contains no wood pulp, as many other vinyl decking products do. Virgin vinyl retains its resiliency and strength. And, virgin vinyl actually mimics the look of wood better than any other product on the market today. So while there are several options available for composite deck boards, be sure you choose carefully. The quality of materials can vary greatly. However, the top choice now for homeowners is virgin vinyl decking. Visit our showroom at Country Estate Fence and learn why virgin vinyl deck material is becoming a popular choice for homeowners. Vinyl is versatile, durable, economical, and virtually maintenance free. 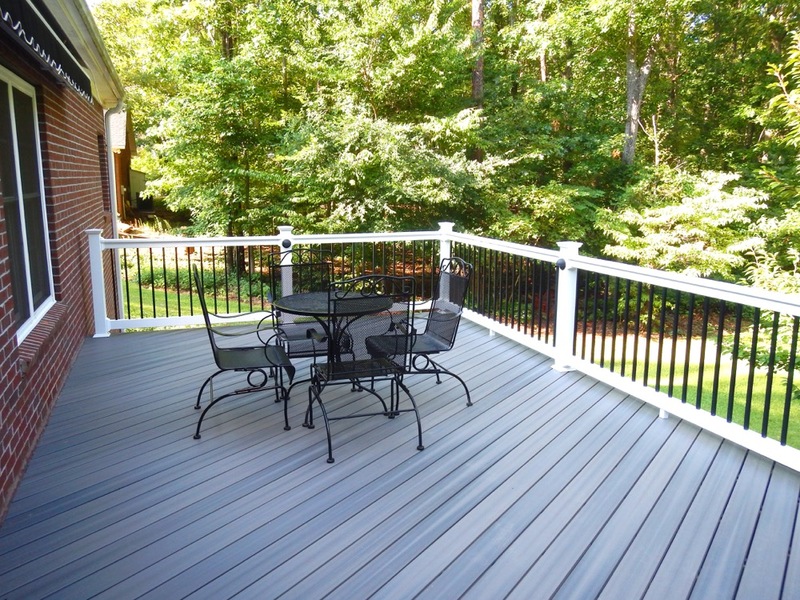 Whether you are looking for the mainenance-free features of vinyl, or long-term durability, there is a vinyl decking solution for you. With many styles of PVC vinyl decking options, see us for custom designs as well. Get a custom look with our Embossed (wood grain effect) and streaked profiles. 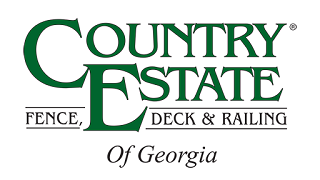 Find out why Country Estate Products is the top vinyl deck supplier in Marietta GA and Cobb County to call first.